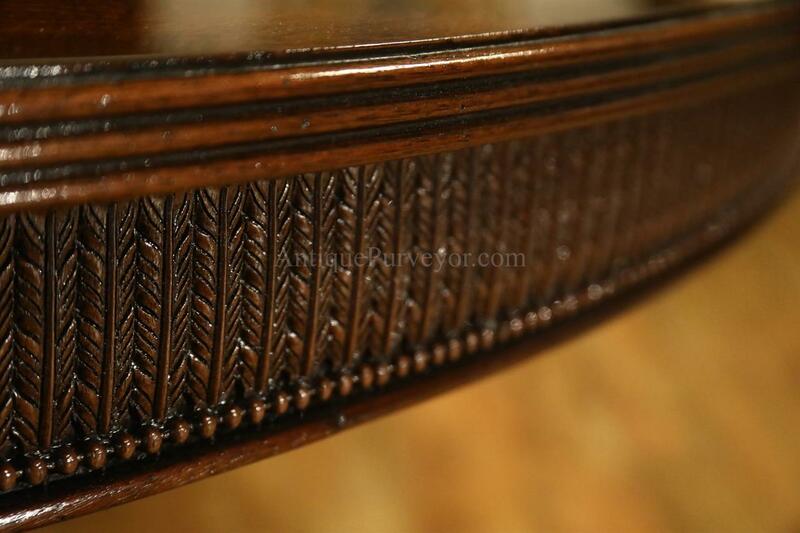 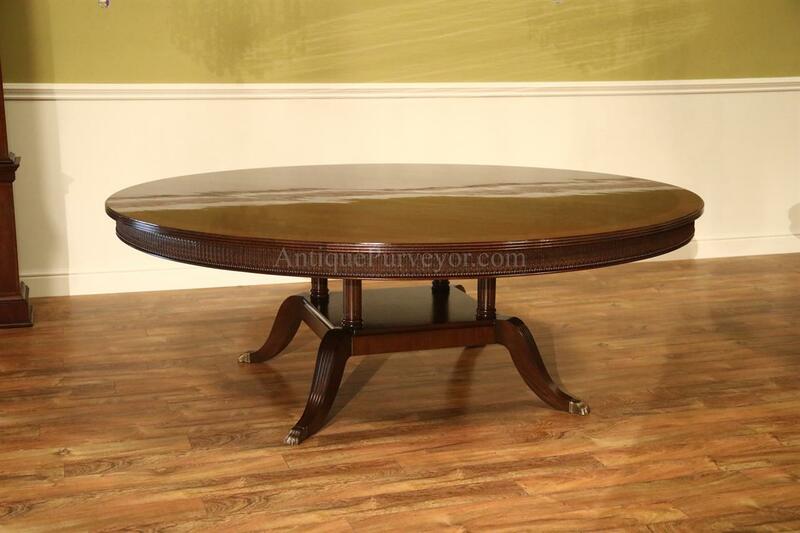 Description: Extra large American made 84 inch round mahogany dining room table on a sturdy birdcage pedestal. 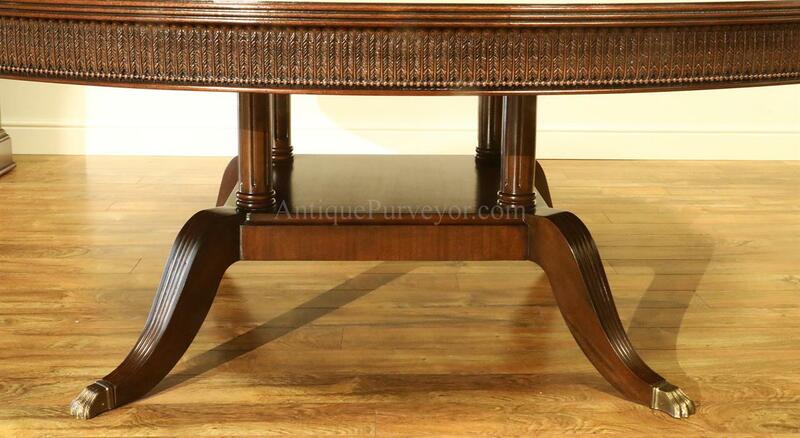 The field of this antique-style pedestal dining table is fancy flame mahogany and the outside border is outlined with a black and white separator inlay. 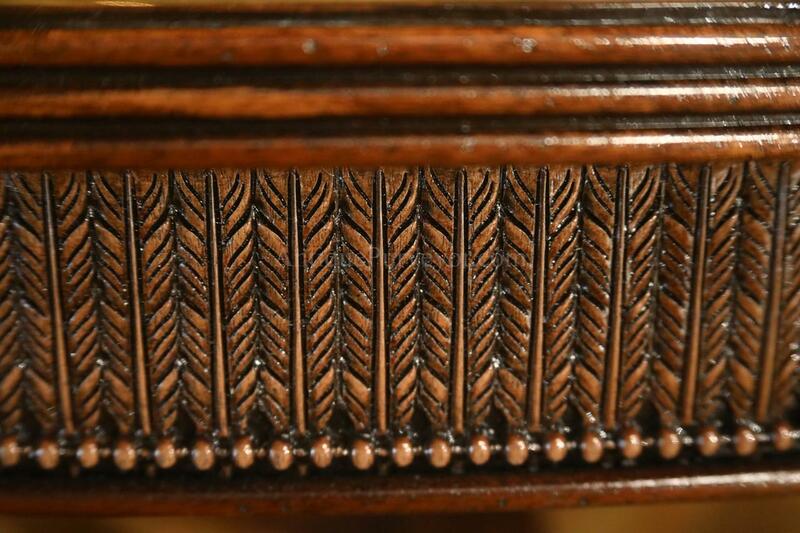 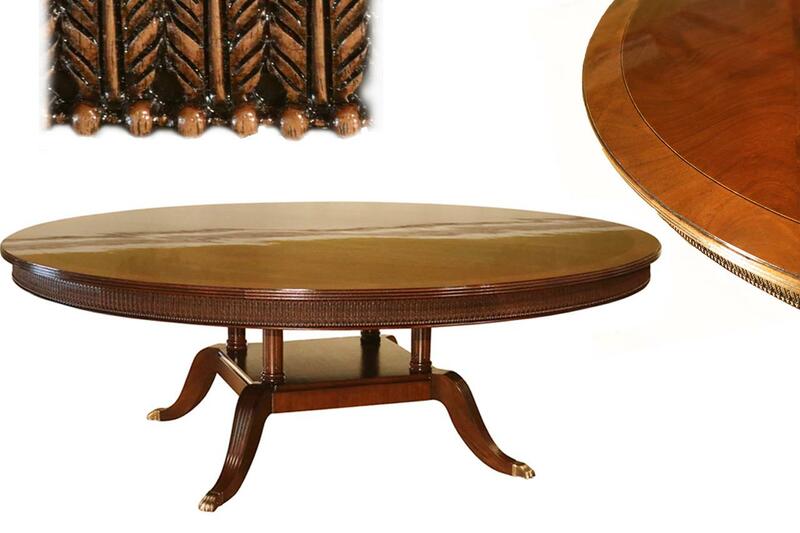 The table top has a reeded edge which matches the reeding on 4 fluted saber legs, feet terminating in tarnished brass feet. 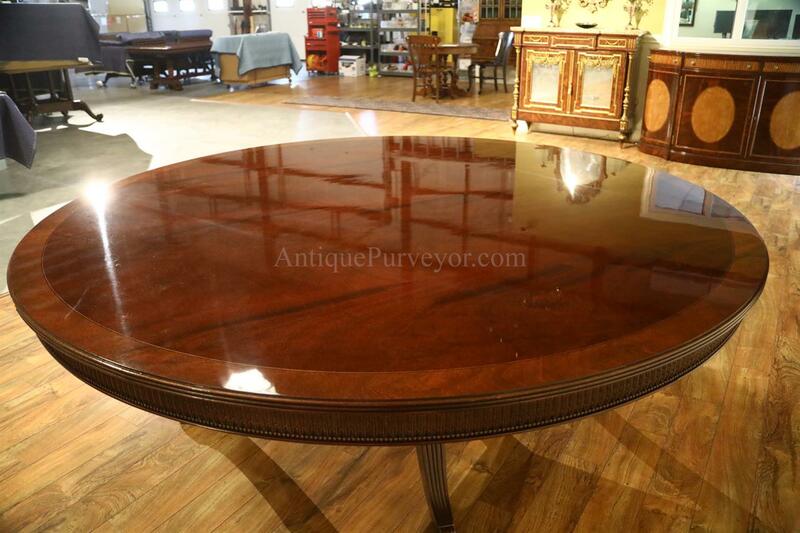 This mahogany pedestal dining table would normally sell for at least $12,000 but our recent partnership and higher order quantities have brought the price down to an amazing entry level price which you may never be able to duplicate again. 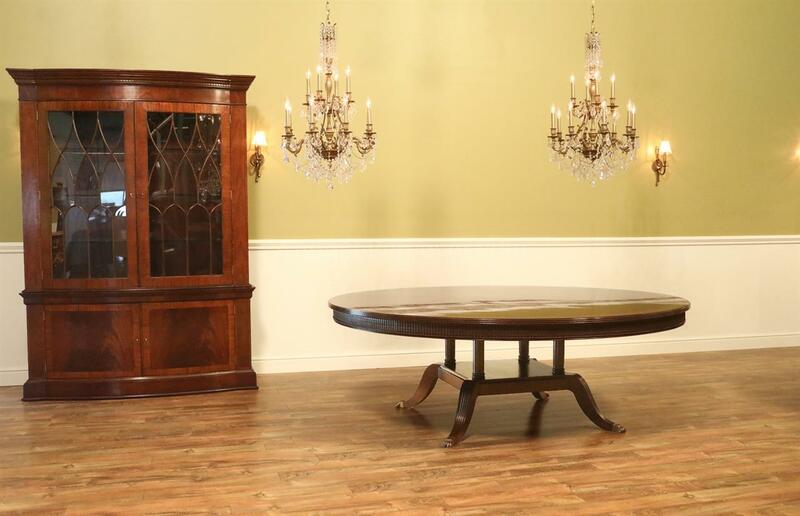 We are passing all of our savings to the client. 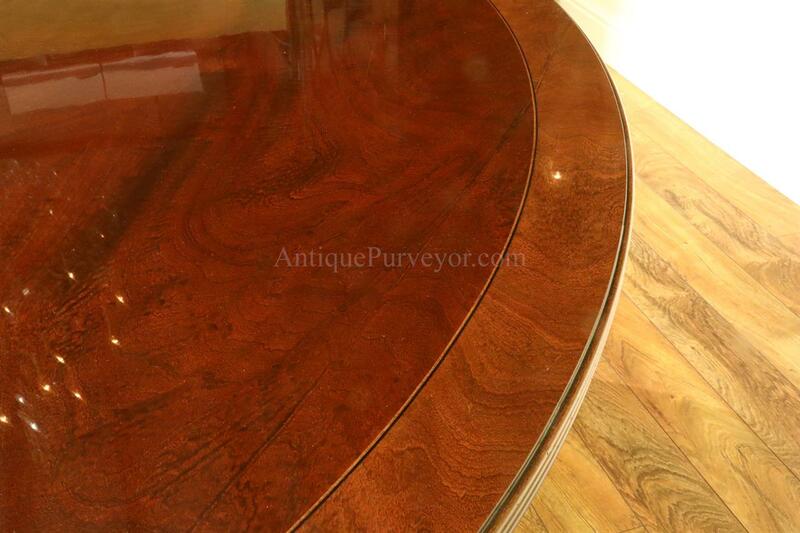 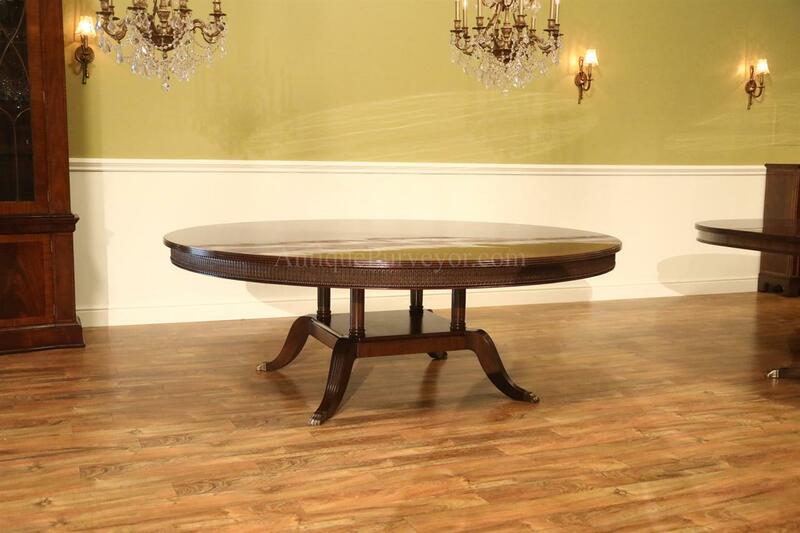 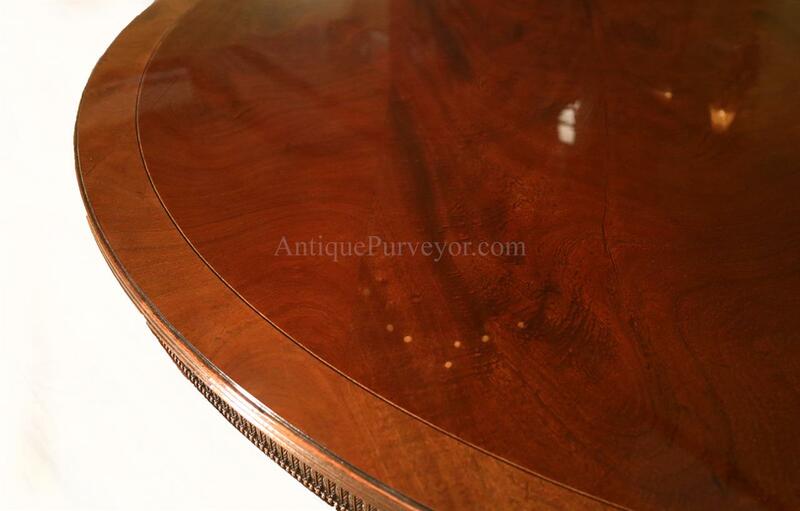 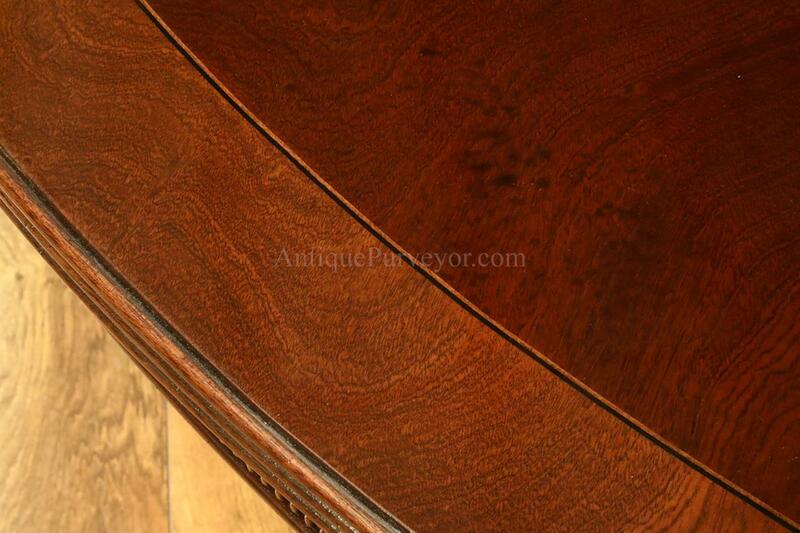 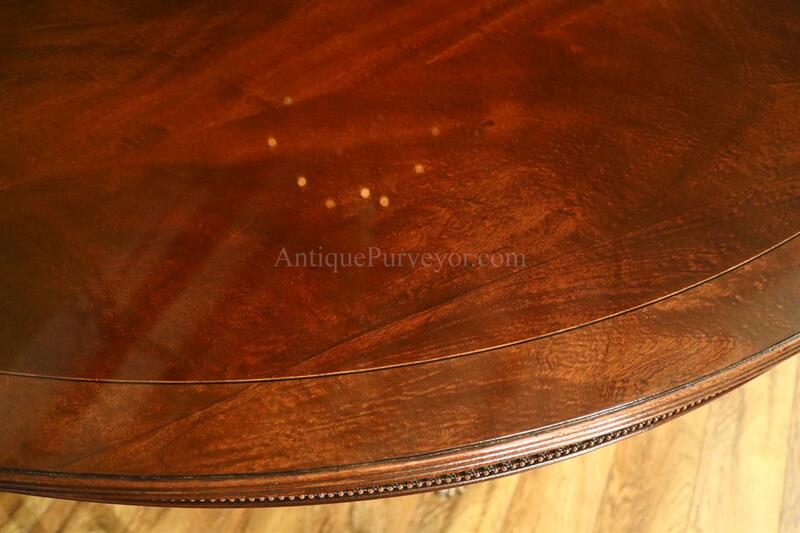 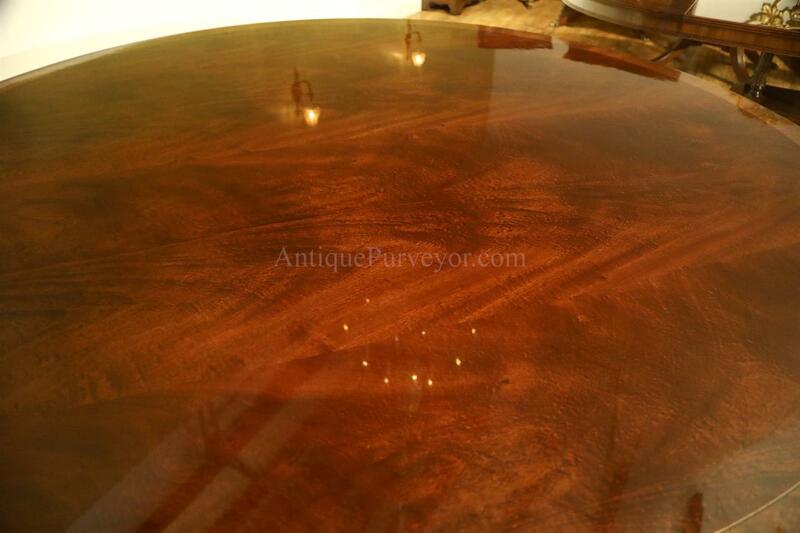 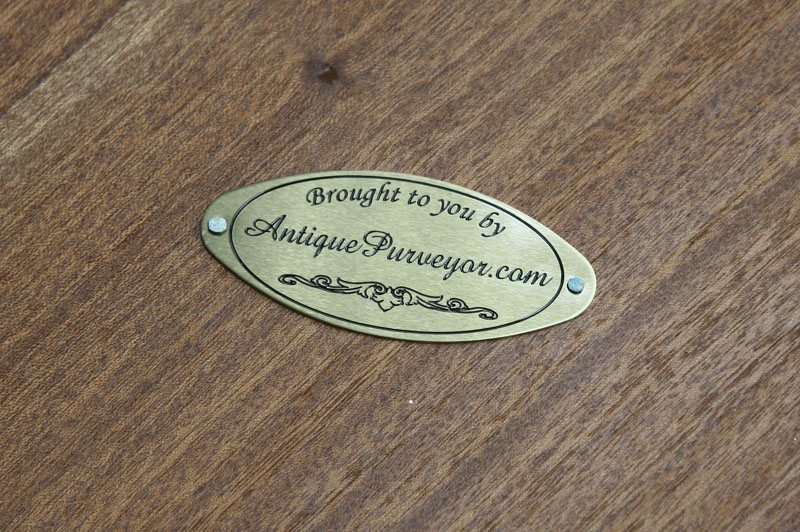 One piece 84 inch round mahogany dining tables are extremely rare to find until now. 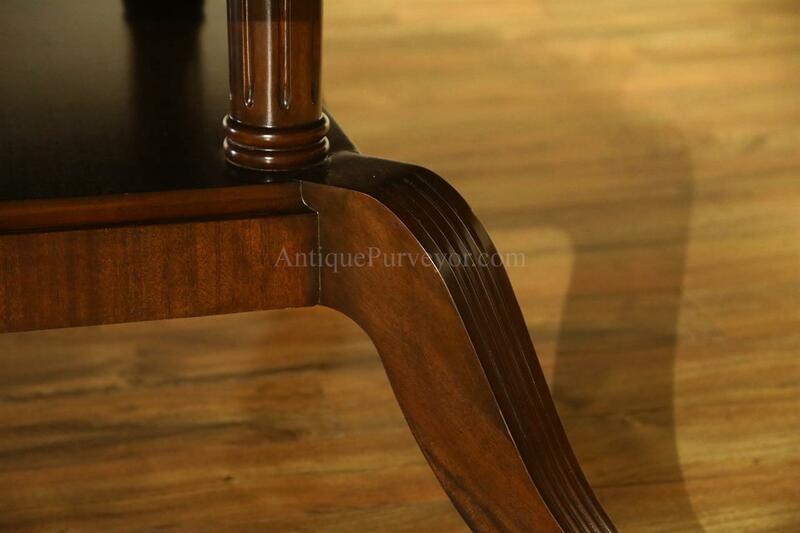 This is a new table, not refurbished and it is 100% made and finished in the USA.